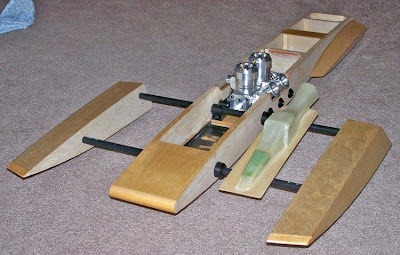 Brad Christy (USA) has made this awesome 30 cc Inline Twin engine. It will be raced also! 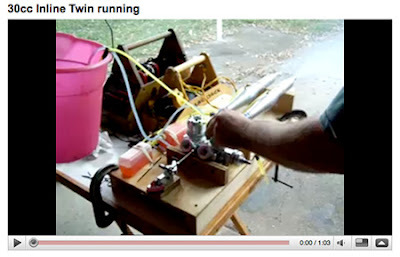 The video shows the first start-up. 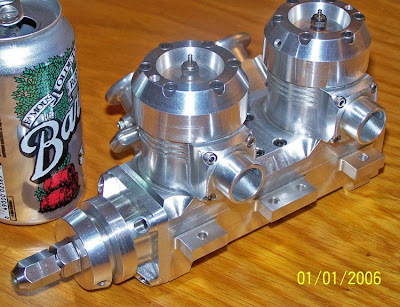 The design is based on the Geraghty/Hall manufactured twin .21 that Brad has scaled up to .180 size (30 cc) - see here below in an separate blogg for pics of the Twin .21. Brad is the owner of Titan Racing Components / BlackJack Hydros. If you want the best "Crapshooter" .21 his BlackJack .21 is as fine as they come. 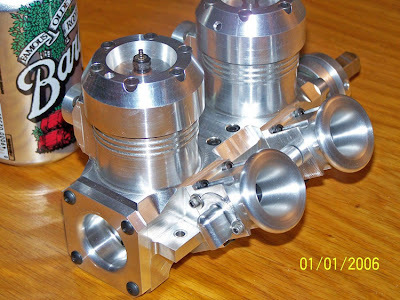 He's an awesome craftsman and he not only makes all his hardware for the riggers he sells himself but he can make you almost any piston etc that you may want to your nitro engine. Pics are taken from International Waters forum. 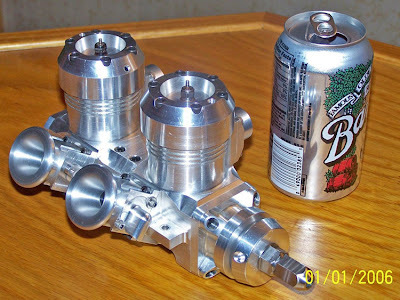 where can we buy engines like these ? 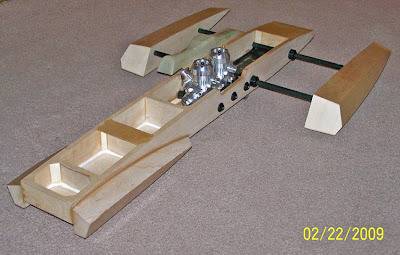 i've been looking for an inline twin for aircraft.. can't fine them anywhere. Dont think any engines like this are available commercially.